In his New York Times article of March 27, 2018 — "Immaculate inflation strikes again" — Paul Krugman argues that those economists who are of the opinion that the key factor that causes inflation is increases in money supply are very wrong. According to Krugman, the key factor that sets in motion inflation is unemployment. While a decline in the unemployment rate is associated with a strengthening in the rate of inflation, an increase in the unemployment rate is associated with a decline in the rate of inflation. Note that for Krugman inflation is about general increases in the prices of goods and services, which is a flawed definition. To ascertain what inflation is all about we have to establish how this phenomenon emerged. We have to trace it back to its historical origin. The subject matter of inflation is "an act of embezzlement." Historically inflation originated when a country’s ruler such as king would force his citizens to give him all their gold coins under the pretext that a new gold coin was going to replace the old one. In the process, the king would falsify the content of the gold coins by mixing it with some other metal and return diluted gold coins to the citizens. The increase in the number of coins is what inflation is all about. As a result of the increase in the quantity of coins (inflation of coins) that masquerade as pure gold coins, prices in terms of coins now goes up (more coins are being exchanged for a given amount of goods), all other things being equal. Note that what we have here is an inflation of coins, i.e., an expansion of coins. Because of inflation, the ruler can engage in an exchange of nothing for something (he can engage in an act of diverting resources from citizens to himself). Also, note that the increase in prices in terms of coins is because of the coin inflation. Under the gold standard, the technique of abusing the medium of the exchange became much more advanced through the issuance of paper money un-backed by gold. Inflation therefore means an increase in the amount of receipts for gold on account of receipts that are not backed by gold, yet masquerade as the true representatives of money proper, gold. The holder of un-backed receipts can now engage in an exchange of nothing for something. Because of the increase in the amount of receipts (inflation of receipts) we now also have a general increase in prices. Observe that the increase in prices develops here on account of the increase in paper receipts that are not backed up by gold. Also, what we have is a situation where the issuers of the un-backed paper receipts divert real goods to themselves without making any contribution to the production of goods. In the modern world, money proper is no longer gold but rather paper money; hence, inflation in this case is an increase in the stock of paper money. Observe that we do not say as monetarists are saying that the increase in the money supply causes inflation. What we are saying that inflation is the increase in the money supply. So it seems that our Nobel Laureate, instead of discussing inflation is actually referring to its possible symptoms, which are price increases. Once the proper definition of inflation is obliterated and inflation is viewed as general increases in prices then all sort of explanations of what causes these increases are possible. By means of statistical correlation, Krugman asserts that a fall in the unemployment rate is an important driving factor of inflation. Hence, on this logic policy makers must carefully watch the unemployment rate and decide whether it has reached the point where it could trigger an explosion in the rate of inflation. But, using statistical correlations as the basis of a theory means that "anything goes." For example, let us assume that high correlation has been established between the income of Mr. Jones and the rate of growth in the consumer price index. The higher the rate of increase of Mr. Jones’ income, the higher the rate of increase in the consumer price index. Therefore, we could easily conclude that in order to exercise control over the rate of inflation the central bank must carefully watch and control the rate of increases in Mr. Jones’ income. This example is no more absurd than correlating the unemployment rate with the rate of increases in prices as Krugman does. Contrary to Krugman, a low unemployment rate does not cause a general rise in the prices of goods and services and an economic overheating labeled as inflation. Regardless of the rate of unemployment, so long as every increase in expenditure is supported by production, no "overheating" can actually occur. The overheating emerges once expenditure rises without being backed up by production, a situation that emerges when the money stock is increasing. In his article, Krugman argues that the Fed’s inflation target of 2% is too low. According to Krugman, the Fed should aim at a higher inflation target, which amounts to an increase in the monetary pumping. Furthermore, Krugman is of the view that the Fed should not tighten its interest rate stance since this could push the US economy into a liquidity trap. 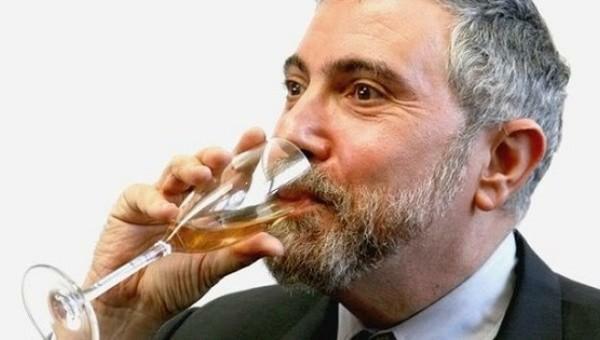 If Krugman were to define correctly what inflation is all about, he would quickly realize that a tighter stance would be required to eliminate various bubble activities that undermine the process of wealth generation. Contrary to Krugman, a liquidity trap, which is another way of saying that Fed policies cannot generate any longer an illusion that these policies can grow an economy, is the outcome of very loose monetary policy of the US central bank. The loose monetary stance, which weakens the process of wealth generation, results in either stagnant or a shrinking pool of real wealth. Without an expanding pool of real wealth, the illusion that the central bank can grow an economy is shattered.